Russian rabbi; lived in the eighteenth and nineteenth centuries. He was among the pupils of Elijah of Wilna, and settled in Safed. 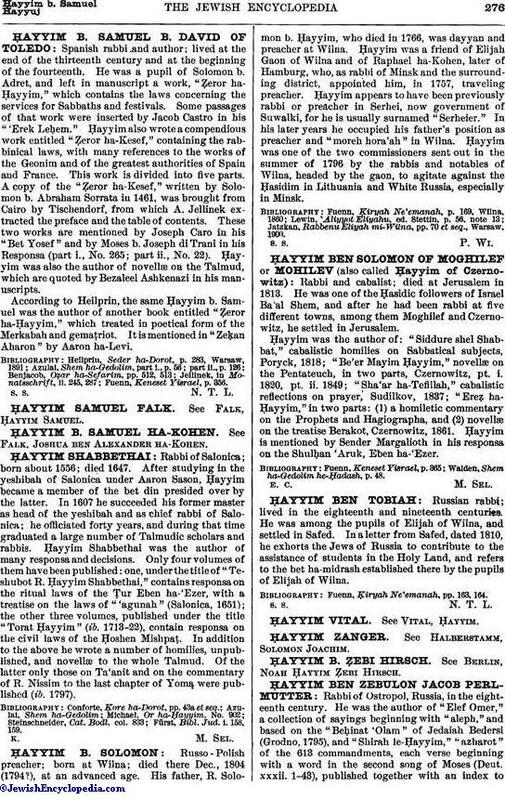 In a letter from Safed, dated 1810, he exhorts the Jews of Russia to contribute to the assistance of students in the Holy Land, and refers to the bet ha-midrash established there by the pupils of Elijah of Wilna. Fuenn, Ḳiryah Ne'emanah, pp. 163, 164.